Your hang tags should be able to stand up to a lot of handling and the last thing you want is for wear and tear to project a poor, haphazard image. Opt for a 16-point gloss cover stock that's sturdy enough to withstand probing hands and adds a glossy sheen that enriches your design. Full-color hang tag printing always attracts more attention that black-and-white versions. Plus, with today's advanced state-of-the-art printing techniques, you can go full color on both the front and the back at minimal cost. The larger your hang tags, the more likely they are to attract attention. You'll also save on price per square inch, so you essentially get more ad space for less money. Print oversized hang tags whenever possible to boost your return on investment. All hang tags need holes drilled; some require perforations for coupons and gift cards or scoring for easy folding. Make sure you indicate these in your hang tag design layout template and when you order. Scoring and perforations lend a professional appeal and help you enhance your sales pitch, so don't overlook these valuable vehicles to increasing sales. You should always order a hardcopy proof so you can inspect your hang tags in hand before printing the entire run. 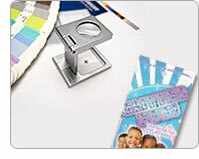 Check for your design layout, hole/scoring/perforation positioning, color errors and text typos. The last thing you want is for a mistake to negate an entire print job. When you order hang tags in volume, your price per hang tag is significantly decreased, because the cost of press setup is distributed through many hang tags. If you're launching a line of fall sweaters, for example, and know that in four months you'll be launching a line of T-shirts, order enough hang tags for both products at once to increase cost efficiency, reducing your price and boost your return-on-investment potential. Choosing the right hang tag printing techniques can have a huge influence on the ultimate success of your hang tag marketing. Follow the tips outlined here to get it right the first time.